Working as a software developer means you will most likely, at some point, need to work overtime. I think this is a good thing, and I explain why, in this article. As a programmer, most of the work you do is probably for a project. If not, it could be maintenance work or every-day development work that needs to be done. When you need to put in overtime, it’s usually because the work needs to get done by a certain date and the project or the team is running behind. Putting in overtime is a good thing to do. I think this is a good idea because it shows dedication to your project. It shows that you are committed to making the project succeed, to getting the work done, and that you take your work seriously. Working overtime is usually needed if a project is behind schedule. If there has been issues with the project, such as the development work taking longer, or environmental issues causing delays, then overtime may be needed. 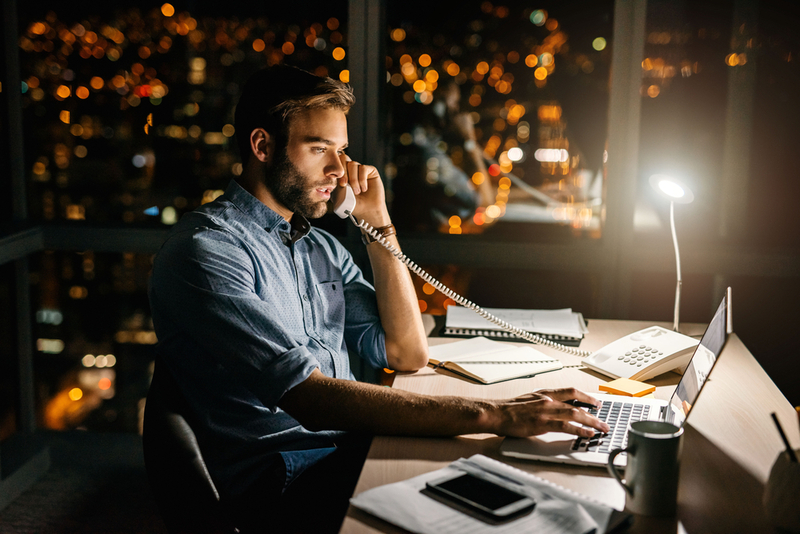 Sure, you could leave work on time and get the work done the next day, and just let the project go on its way, but the act of putting in overtime demonstrates how dedicated you are to the success of the project. This gets noticed by others, such as the project manager and the team leader, and anyone else on the project. Having a strong work ethic is a good way to get ahead in your career. It’s a good quality and one that is quite rare these days. Too often I see people who just want to show up, do their time for the day, and go home. Working overtime isn’t something that even crosses their mind. However, you on the other hand, might have a stronger work ethic. A good work ethic is something that should be used to your advantage. Put in the extra hours to get the work done. It shows you are willing to work harder, willing to make a positive impression, and that you think your job is important. Otherwise, you wouldn’t even be there. Both traits of showing dedication and showing that you are a hard worker are both displays of a good work attitude. This attitude is a positive one and will also get noticed by others. It’s good for your career in the long term. The risk of doing overtime at work and staying back late at the office is that sometimes it may be expected of you. In software development, it really depends on the company. At some companies, it’s expected that you stay back, and at others, it’s only for when a project needs to be completed. This is a lot better than other industries. The legal industry, for example, has a lot of roles where people work back for many hours, and that’s normal. I also hear that finance jobs involve a lot of working overtime as well. In software, at least, it’s not too bad. I mean, I’m always reading that people at those start-ups in Silicon Valley are working crazy hours, but that isn’t the normal role for software developers. If it’s expected that you work overtime all of the time, you really need to consider if the role is for you. I have a post coming out soon that goes into this area a bit more, but try not to get stuck into doing overtime all the time. One way to ensure that overtime doesn’t become the norm is to speak to your manager about it. Make it known that it is only being done for this situation, and that in the future you’ll be working to ensure it doesn’t happen again. Your manager probably doesn’t want you to be working overtime too much, as it can be tiring. You can also suggest a concept called time in lieu. This basically means that any overtime you work now, you can get back from your normal schedule when things return to normal. This is quite common in places that I’ve worked. Often I’ve had to come in on weekends to work, or work later at night, to get project work done. Once the project is delivered, my manager is usually happy to let me take some time off equivalent to the extra time I put in. This usually means I finish early a couple of times, or take a day off. A common way to get promoted is by working overtime. I should explain that, and say that just doing the overtime isn’t the reason people get promoted. The reason people get promoted is usually from a combination of experience, ability, and attitude. The attitude is demonstrated by your willingness to work overtime. As I mentioned earlier, it demonstrates you are committed to the work, have a good work ethic, and don’t mind working hard when the need arises. Getting a promotion will call on these traits of yours, and you’ll have more expectations and responsibility, so putting in the overtime is a good way to show this. It’s not the only way to get promoted, though. Experience is also needed. You need to know how to do your own job very well, and also have knowledge of the position you’ll be getting promoted to. Others also need to believe you have the ability to do the promoted position.